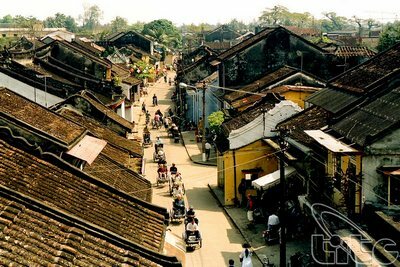 Hoi An City People’s Committee (Quang Nam Province) has approved a plan to provide 2,000 more rooms for visitors, including hotel rooms, villas and homestay clusters by 2020 to meet the increasing demand of visitors. Hoi An had 203 accommodations with a total of 4,967 rooms as of June 30, including 1,898 at four-star and five-star standards, and 956 three-star rooms. Thousands of rooms are being built, increasing the number of rooms in the city to 6,393 in 2015. The city is expected to provide 8,046 rooms to serve more than three millions tourists per year by 2020. The Hoi An People’s Commitee encourages the development of villas, garden houses and homestays to preserve the nature and landscapes of villages and allows the building of hotels meeting two-star and three-star standards with under 50 rooms. The city will also establish Cua Dai tourism clusters in Cam Thanh, Cam An, Cam Chau and Cam Pho wards. The increase of rooms contributes to developing more competitive establishments, which will promote the development of the city’s commercial services and tourism.